Opt for contemporary minimalism with this short dress from Life. Made of good quality fabric, this dress is extremely stylish and will upgrade your fashion quotient in an instant. 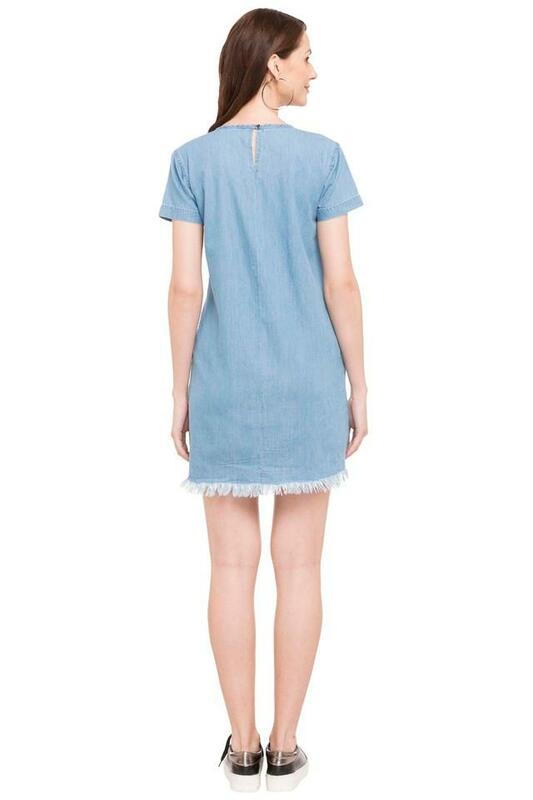 Featuring a round neck, short sleeves and patch work, this dress holds an elegant magnetism. 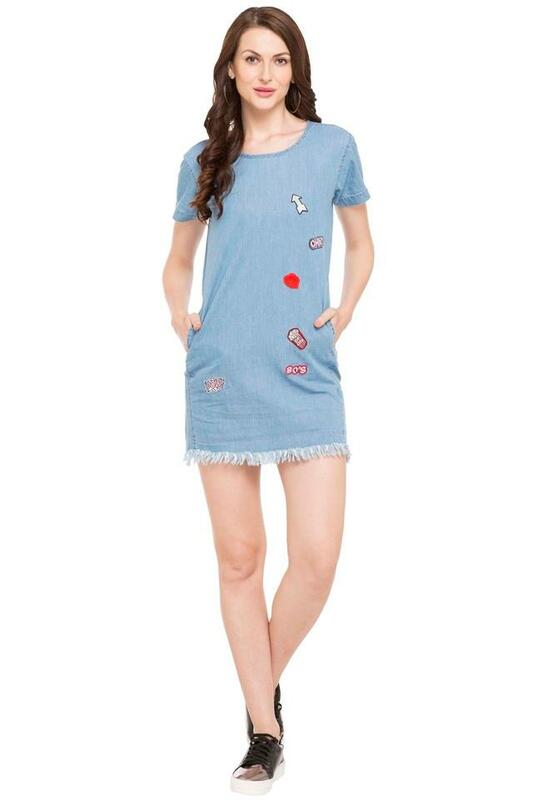 Keep your casual look simple yet stylish as you wear this short dress. Team this dress with a pair of sandals to look effortlessly stylish.